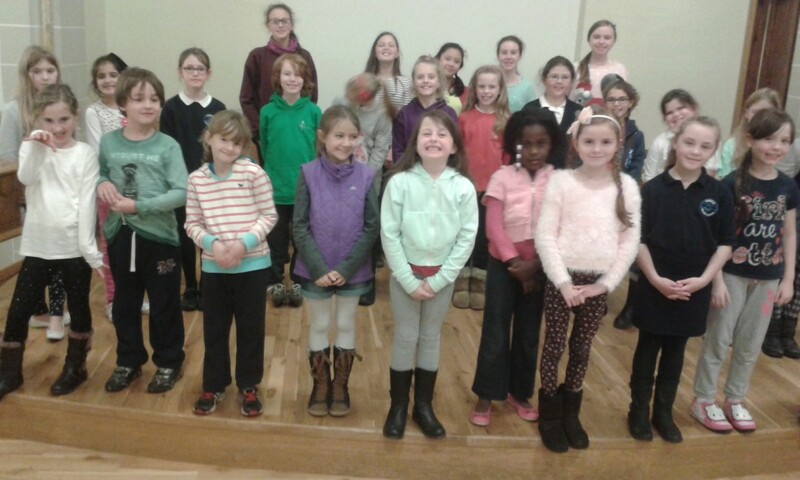 The Pentland Junior Singers was formed in 2004. It is a very enthusiastic group with a range of ages drawn from between primary 4 and secondary 2. The children sing a wide range of music and there is a lot of fun, and serious work, in the rehearsals. The Junior choir meets at the Balerno Parish Church every Tuesday evening between 6.00pm and 7.00pm. The first session is from September to December, culminating in a Christmas Concert. The second is from January to June with a pre-Easter concert and then a Summer Concert in June. There are holidays mid-term too (in line with the school terms). Jessica combines a successful career as a professional soprano, teacher, and choral conductor. She holds a Master of Music (Opera) with Distinction from the Royal Conservatoire of Scotland, and a Bachelor of Music with First Class Honours from Edinburgh University. 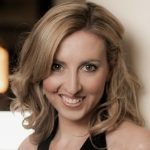 Passionate about developing young voices, Jessica has worked with the National Youth Choir of Scotland, Portobello Music School, Midlothian Council, Youth Music Theatre UK, and Scottish Opera Education, in addition to holding posts as a visiting vocal teacher at several independent schools. In addition to leading the Pentland Juniors, her other conducting posts have included the Belhaven Hill Chamber Choir, Portobello Junior Choirs, and National Boys Choir Junior Corps (Assistant Conductor). As a professional soprano, she has performed across the UK and in Europe with companies including the Royal Scottish National Orchestra, BBC Scottish Symphony Orchestra, Scottish Opera, Aldeburgh Music, and the Bayreuth Festival Chorus, and has appeared on a number of professional recordings with Delphian Records, Warner, BBC Radio 3, and BBC Radio Scotland. Jessica is a proud Samling Scholar, Britten-Pears Young Artist, and artist for the Concordia Foundation Artist and Live Music Now. She regularly performs for Music in Hospitals, and is the winner of prizes including the Ye Cronies Opera Award, Bill Dewar Award, Governor’s Recital Prize (2nd Place), Frank Spedding Lieder Prize, and Tovey Memorial Prize. Our Juniors enjoying their rehearsal. Attendance: It is appreciated if you can advise if your child is unable to attend. Junior Choir Fees are set at the start of September and are paid as two instalments at the start of each session (£25 autumn/winter and £25 spring/summer). If you join after a session has started the fees will be adjusted accordingly. Payment is preferred by bank transfer, but cheques will be accepted. Junior Choir Co-ordinator: Alison Hynd sings with the Pentland Singers and represents the Junior Choir on the Pentland Singers committee. Adult Helpers: Are Disclosure Scotland PVG disclosed for children. Concerts: in order to participate in the concerts, we request that Junior Singers attend as many rehearsals each term as possible and apart from exceptional circumstances, must attend the rehearsal and dress rehearsal immediately before the concert date. 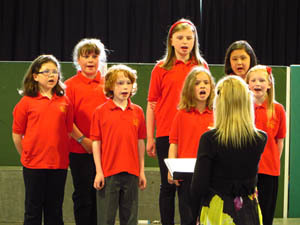 Concert Dress: There is a supply of red polo shirts that are loaned out to the junior choir members for all concerts. In addition Choir members should wear black (school) trousers and black (school) shoes. Behaviour Policy: We expect a level of good behaviour and ask that you discuss this with your child. The emphasis is on a fun session, but constant interruption and not listening spoils the musical opportunities for all. If it becomes apparent that a choir member is displaying unacceptable behaviour we will initially talk to the child and if necessary inform their parent or guardian at the end of the evening or by email. Sanctions will include excluding the child from the subsequent evening, not being able to perform in concerts or asking them to leave the choir. Photography: From time to time we take photographs of The Pentland Junior Singers at rehearsals and at concerts. These are used on the Pentland Singers web site and may also appear in local newspaper articles. Any parent/guardian who objects to photo’s of their child being used should inform the Junior Choir Co-ordinator in writing. Music: We provide song sheets for the Junior Singers. It is helpful if your child can bring a folder with plastic sleeves to keep their song sheets in. Drinking water: There is no drinking water available at the church –please bring your own if required. JAZZ Awards: We are happy to support children completing a section. Please note that it is the child’s responsibility to complete all the necessary sections of the folder, before it can be signed off by an adult. You are welcome to come along to one of the children’s rehearsals or contact us.